Long Beach Career-Linked Learning (CaLL) is a nonprofit organization that supports the Long Beach College Promise by helping prepare students to be ready for college and career. CaLL connects students with employers to deliver high-quality work-based learning experiences that benefit both employers and our students. CaLL’s mission is to ensure all Long Beach students-from middle-school to college-have access to inspiring work-based learning opportunities in growing and emerging career sectors, complementing what they learn in class, so that they gain the skills and knowledge needed to be successful members of our local economy. Employers can provide work-based learning activities such as guest speakers, workplace tours, job shadowing, mentorships and internships. They can assist with class projects, mock interviews and informational interviews. Employers can also offer teachers externships and guidance, as well as serve on advisory boards and industry councils. Long Beach CaLL streamlines the process by recruiting and preparing employers to provide quality work-based learning opportunities to Long Beach students, and works closely with educators to ensure students are prepared and well-suited for each opportunity. This helps students get the most out of their experiences and reduces burdens on employers and teachers. It also allows employers to invest in the future of their workforce. 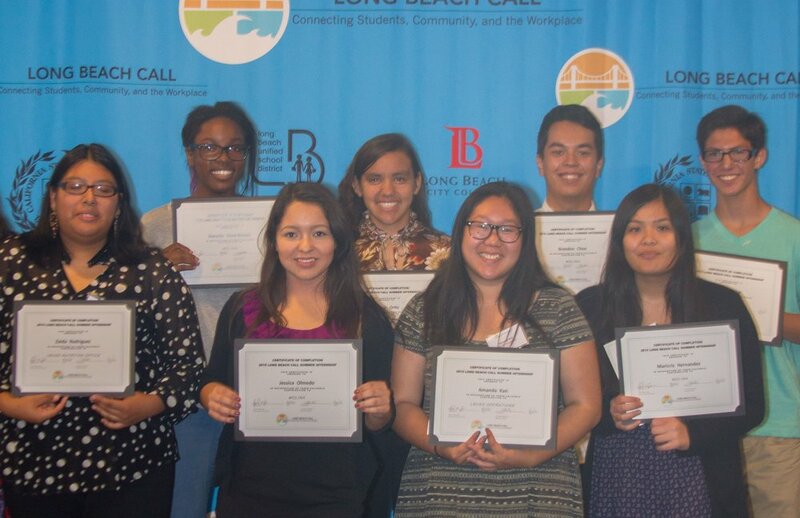 The Long Beach CaLL’s primary mission is to ensure all Long Beach students—from middle school to college—have access to inspiring work-based learning opportunities in growing and emerging career sectors, complementing what they learn in class, so that they gain the skills and knowledge needed to be successful members of our local economy. This approach also benefits employers,because they have the opportunity to impact and mold the skills that our students graduate with,ensuring that the workforce here in Long Beach has the skills needed by our local employers. The CaLL collaborates with teachers and administrators to provide a range of work-based learning opportunities inside and outside of the classroom, including job shadowing, mentorships, and internships. The total Long Beach student population is about 90,000 high school and college students. With 80percent of the Long Beach economy made of small businesses, setting up such work-based learning opportunities requires organization and time which the district, colleges, and employers do not have the capacity to put in place and sustain. The CaLL fills this crucial need.. The CaLL streamlines the process by recruiting and preparing local and regional employers to provide quality work-based learning opportunities to Long Beach students. To ensure the opportunities also benefit employers, the CaLL works closely with educators to ensure students are prepared and well-suited for each opportunity. Together this ensures students get the most out of their experience and lessens additional burdens on employers and teachers. In addition to facilitating work-based learning opportunities, the CaLL helps foster a college-going culture through sustained partnerships with local colleges that expose high school students to an array of postsecondary options that will meet their professional goals after graduation. The CaLL provides a structure for ongoing communication between local businesses, community organizations, families, schools, and colleges to economize resources and monitor progress toward a common goal to prepare students to succeed in college, the workforce, and in life. The Long Beach CaLL focuses much of its efforts around supporting the Linked Learning approach adopted by Long Beach Unified School District. Linked Learning integrates rigorous academics that meet college-ready standards with sequenced, high-quality career-technical education, work-based learning, and supports to help students stay on track. 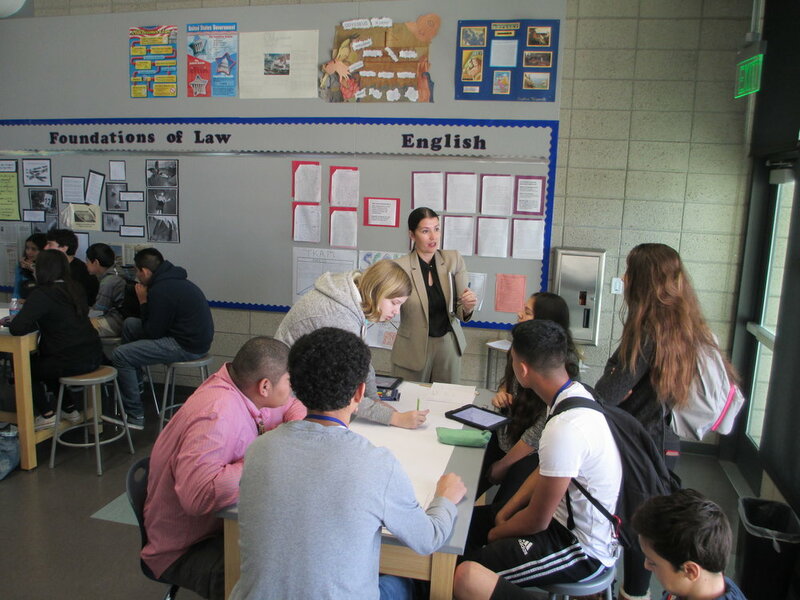 The Linked Learning approach is implemented throughout all Long Beach high schools. Students attend pathways organized by industry-sector themes, such as engineering, health care, performing arts, business, and law. By organizing learning around a broad industry sector theme, students get exposure to a wide array of career options, and learn what professional and postsecondary training is needed to be successful in a career in that industry. 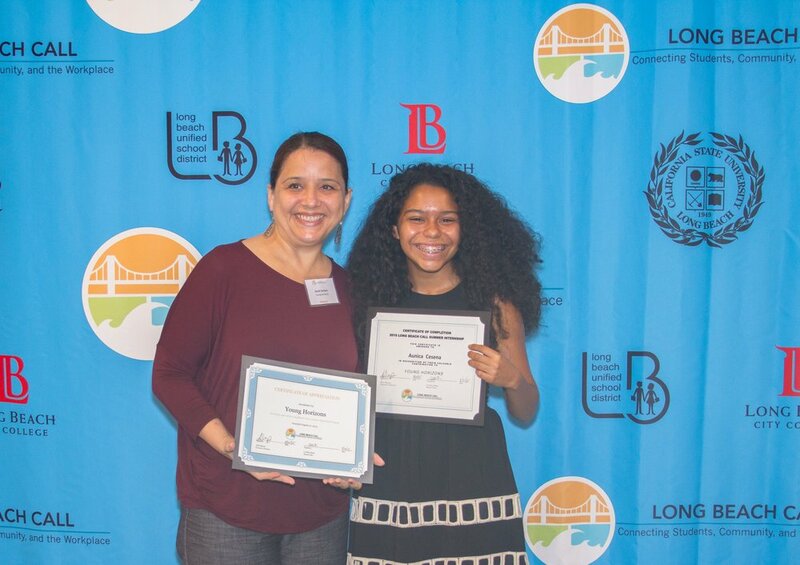 The Long Beach CaLL was established as a nonprofit organization to serve as our community’s go-to intermediary connecting Long Beach students with local and regional employers to facilitate high quality work-based learning experiences. The CaLL is result of the Long Beach College Promise,which is a partnership between Long Beach Unified, Long Beach City College, and California StateUniversity, Long Beach—with funding from The James Irvine Foundation.